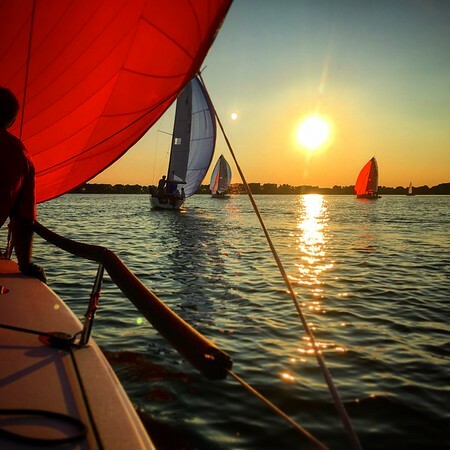 We had our final night of the J/70 Friday Night Series at FBYC. The wind was light and the sunlight shorter. Made for one of the prettiest nights I was out.